Believe it or not, spring is just around the corner! And that means it’s time to get to work on your home maintenance. 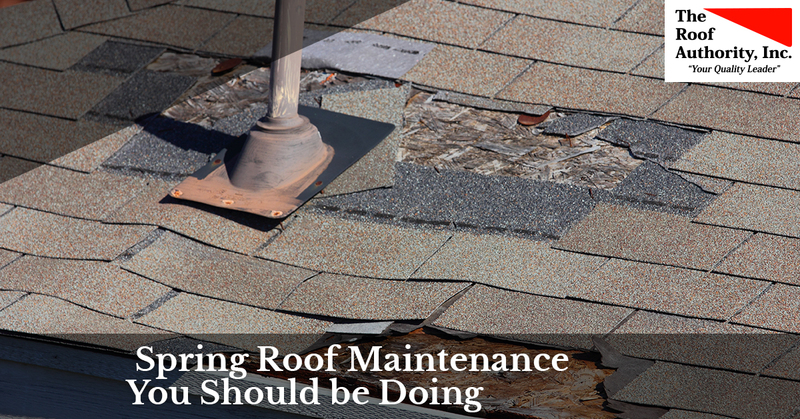 One essential part of this is getting annual spring maintenance on your roof. While you might not think about your roof very often, the truth is, you don’t want to think about it when you have water gushing through your roof or your HVAC bills skyrocket. Keeping up with your annual roof maintenance is key to preventing disasters that could’ve been avoided. The Roof Authority serves the Vero Beach area, as well as St. Lucie, Indian River County, Fort Pierce, and Martin County. When you need a local roofer, you can have confidence that you’re in good hands with us. We have been in the roofing business since 1993, and can handle all your residential, commercial, and green roofing needs. Give us a call or fill out our contact form and we can visit you to provide a quote. Here are some things you should do to your roof in addition to having a roofer service it. Take a look at your shingles—are they in pretty good shape? Do you see any that lift when the wind blows? Are any missing? These are things you can likely spot pretty easily when you’re taking a look at your roof. However, to really get an accurate picture, an experienced roofer can get up there and perform a closer inspection. You might not be able to see cracks, sun damage, missing shingles, or worn shingles, and you might not know exactly what to look for. Now, stand close to the side of your house so you can get under the eaves. You might have the usual debris, spider webs, and the like, and in that case, take a high-pressure hose and give the eaves a good spray. Once everything is clean, examine the eaves. Do you see any discoloration, water damage, buckling, cracking, or other issues? Also be sure to check the flashing for similar issues. If you find any, you will need to have a roofer come to perform an inspection to ensure that there aren’t deeper systemic problems. You see your roof, eaves, flashing, and gutters every day, so you probably won’t be able to see the wear and tear that builds up over time. The way to assess this change is to take photos and notes of your findings. You can measure cracks and stains to see if they get bigger. You can take photos to assess discoloration. Assessing these changes from year to year will help you determine how quickly your roof is degrading. Your roofer can dig deeper to find issues you might not see or know to look for. This way, you can determine whether it’s time to perform a small fix, or when it’s time to do major repair or even replacement. An experienced residential roofer can help to stop small issues before they become problematic. The Roof Authority can perform service and maintenance on your roof. Our quotes are transparent, and we strive to keep our prices affordable. When you need the best roofer in the Vero Beach area, call us today!